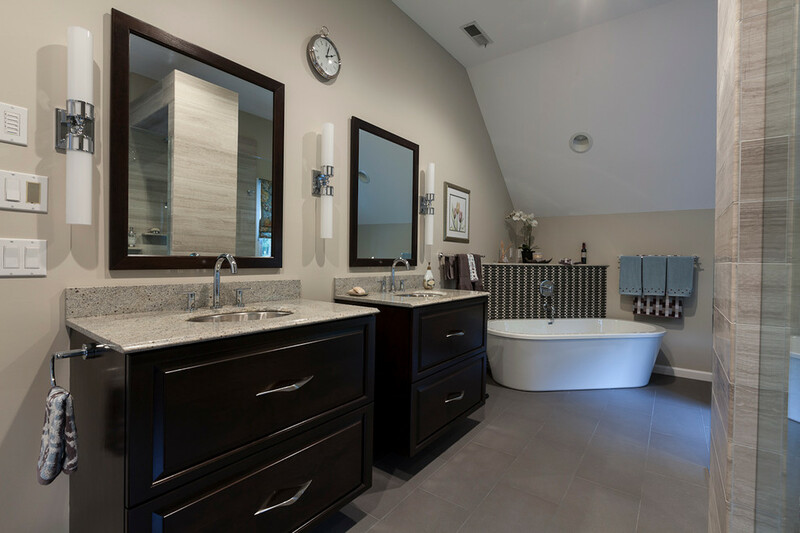 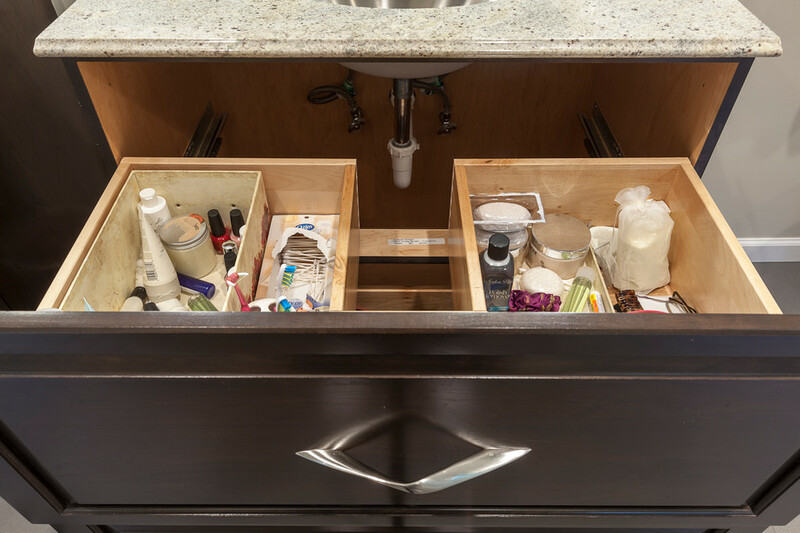 Looking to infuse a bit of European modernity & beauty into their everyday lives, these homeowners wanted their redesigned master bath modeled after the ones found in European hotels. 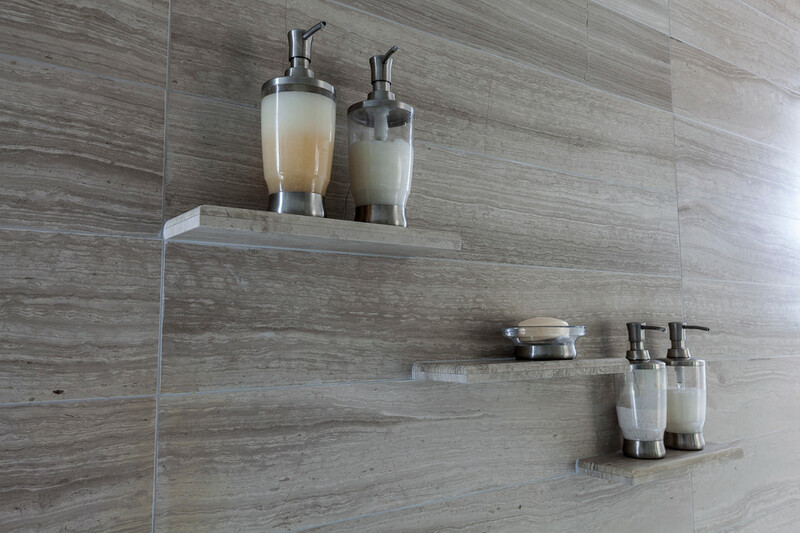 Calling on the design expertise of Barry Miller of Simply Baths, Inc. the couple effectively re-imagined & transformed its uninspired 80s facade into a luxurious retreat. 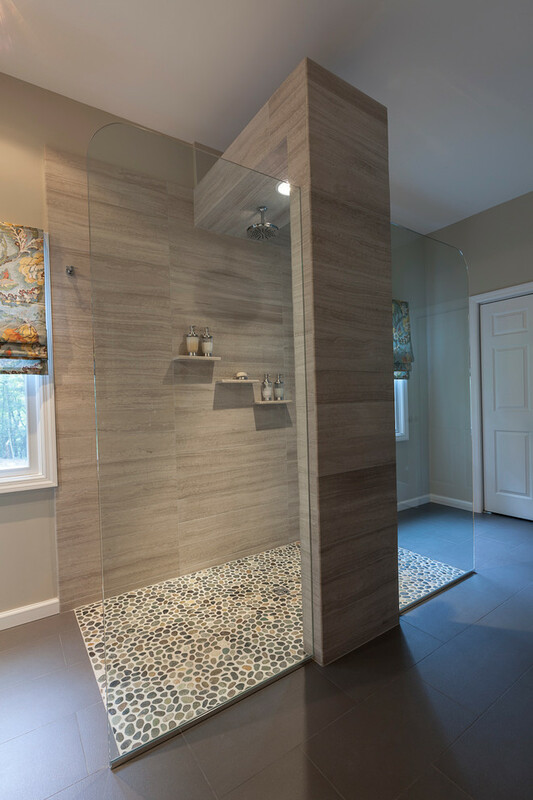 Since one of the greatest challenges of this remodel was the space's cramped quarters and outdated styling, Miller began the renovation job by taking out the existing tub platform that was taking up a third of the of the bathroom's layout. 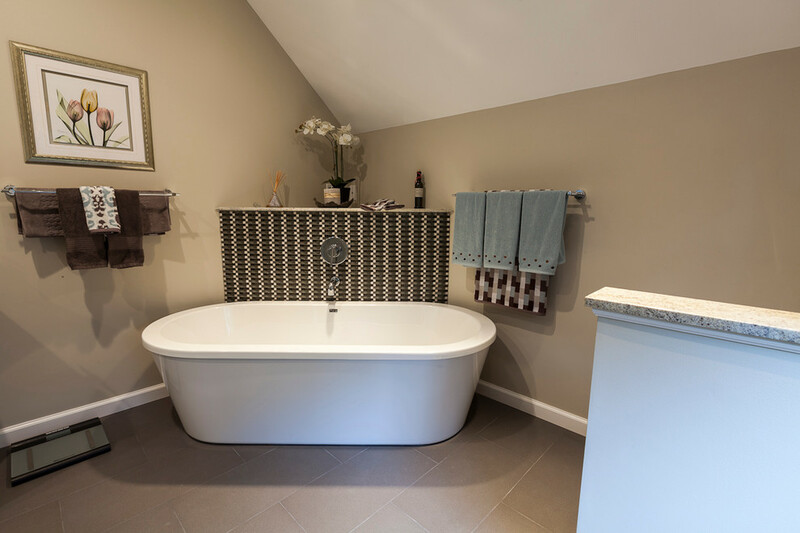 In addition, Miller added 6 feet in length to the bath by taking it from an unused dressing area between the bathroom and the master bedroom that had gone practically forgotten. 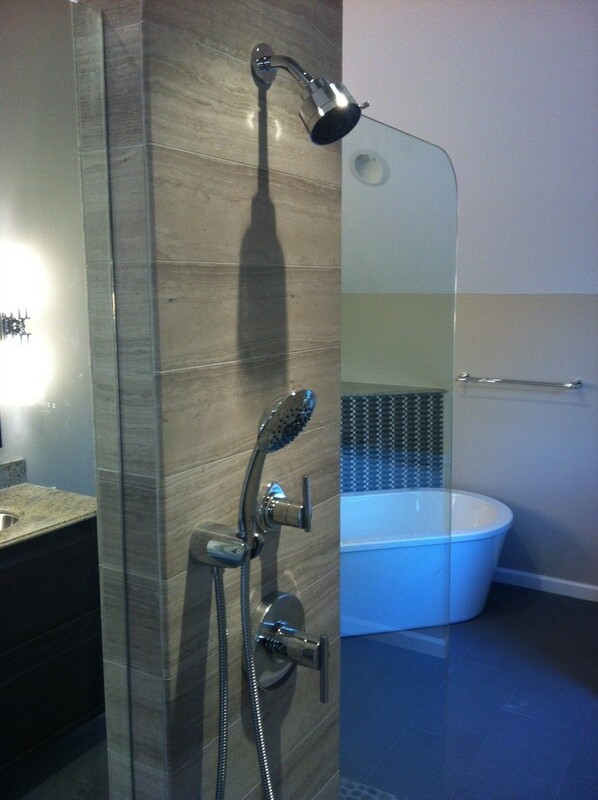 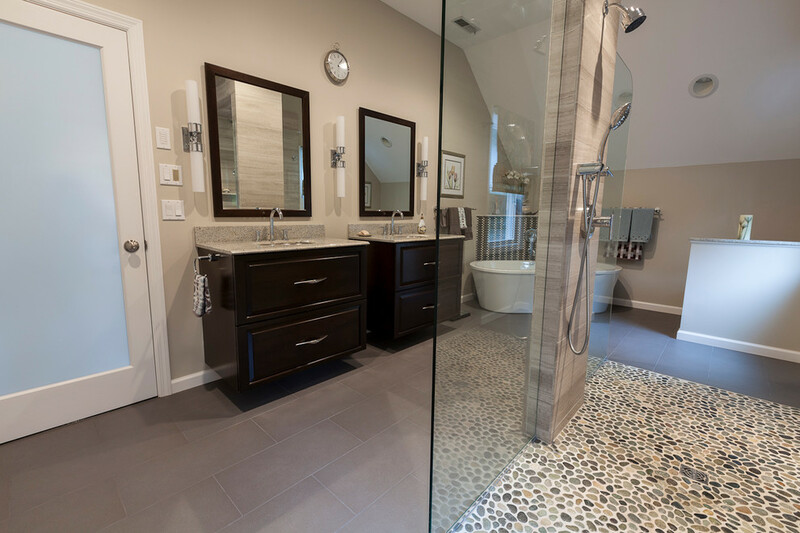 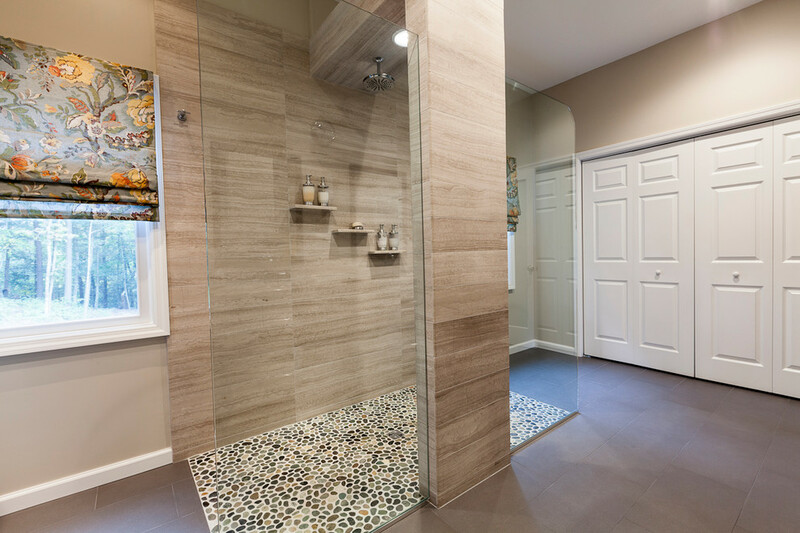 This added room allowed the addition of a rain shower that comes out of overhead support and features a hand-held shower and stone pebble flooring. 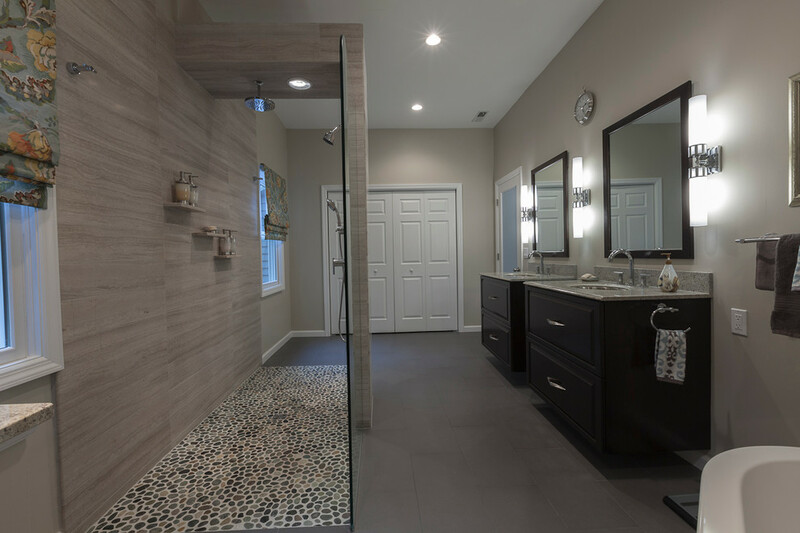 These touches, along with the new freestanding tub, gives the bath a spa-like feel, creating that refined escape the homeowners always desired. 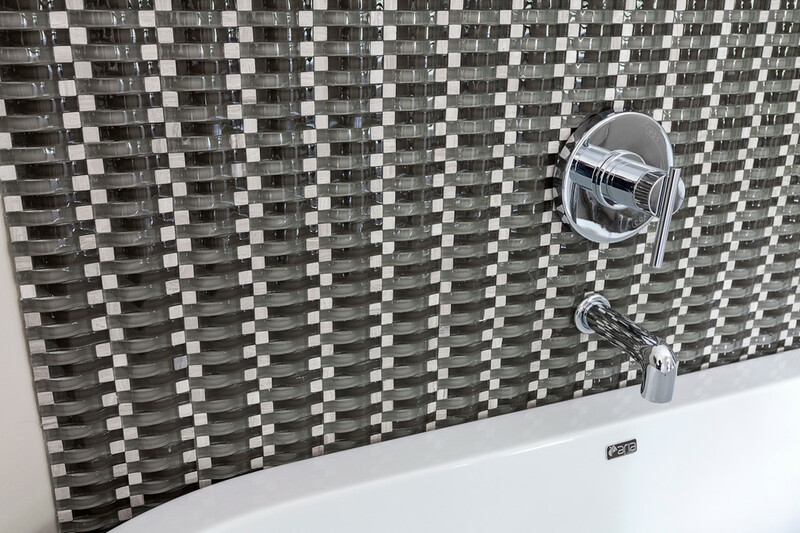 In addition to the curbless walk-through shower and soaking tub, the Kohler Persuade Curv toilet with washlet seat brings the bath into the modern age. 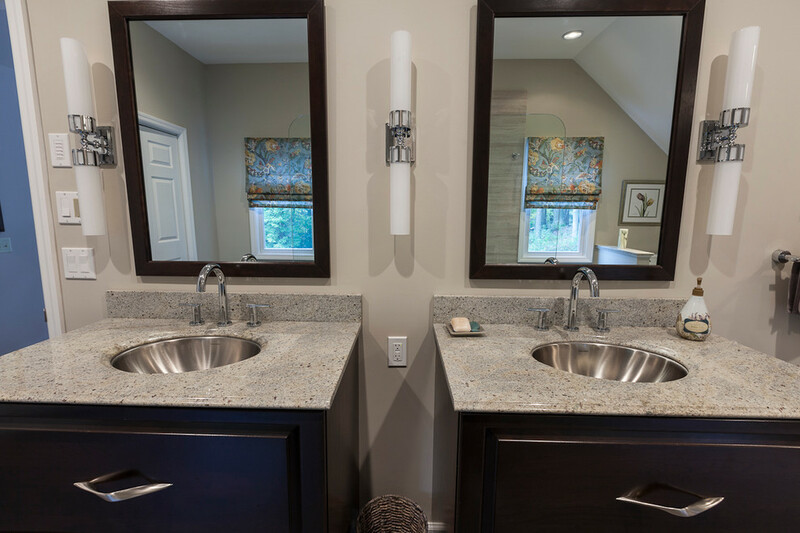 Two individual wall-mounted vanities - both topped in Kashmir White granite - are finished with stainless steel sinks by Houzer and oversized mirrors with custom Holiday Kitchens frames. 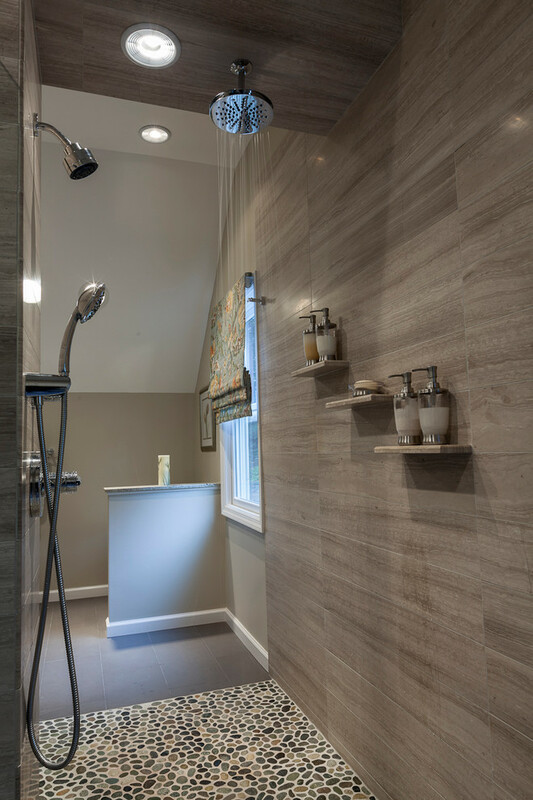 These elements add warmth, while the cool gray tones and the natural light from existing windows on each side of the shower complete the European escape aesthetic.